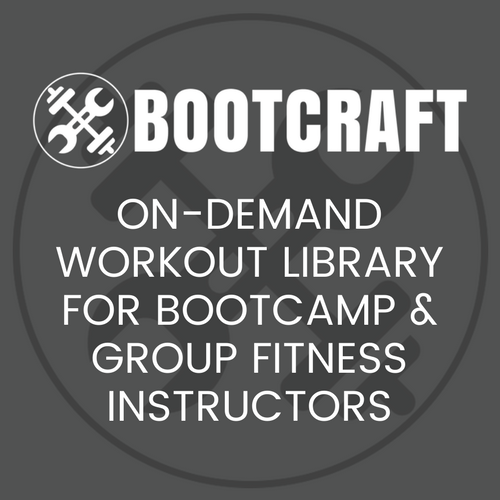 This workout is an entry in our annual Bootcamp Ideas competition from Jamie Harvey. Split the class into two or three teams and have each team line up with team mates one behind the other about one metre apart. Each team is given a medicine ball which begins at the front of their line. The participant at the front of the line must lift the ball over their head and hand it to the participant behind them. That participant then puts the ball between their legs and hands it to the participant behind them. This is then repeated throughout the line. Once each individual hands the ball to the person behind them they must complete a burpee, before running to the back of the line to rejoin the game. The first team to reach the other end of the court or marked out area (about 20 metres) wins. You can make it best of three games to determine an eventual winning team. Firstly get the boot campers to pair up with someone of similar fitness level. One participant from each pair must complete a shuttle while the other participant completes the exercise on the spot. As soon as the shuttle is completed, the participant tags their partner and they swap exercises. Two sets of two minutes each drill. 30 seconds rest in between each set. Layout of ‘Escalating’ partner drills: number represents drill, red dots represent cones. Myself and Oarey McWilliam have been running indoor boot camps at Advance Fitness Club in Invercargill, New Zealand, for over a year. We have over 70 clients across four classes and have developed a 12 week program that is achieving some brilliant results. This workout is part of our 2015 Bootcamp Workout Competition. Check out the awesome prizes up for grabs and find out more here. Otherwise sign up to the mailing list below to get access to all of the competition entries and cast your vote. Hi, I’m looking forward to trying this tomorrow morning. Can you please explain the two shuttle drills that include the ladder? Is this using an agility ladder? The first being walking planks and the second being lateral hops in and out of the ladder? Thanks so much!! Hi Krista, yes you are bang on! I used agility ladders for both, about five meters. Basically, a lateral walking raised plank and side to side hops through the ladder. Hope I’ve replied in time and your campers enjoy it! What is the “over the fence” warm up exercise please? Have your clients pretend like they are lifting their legs up and over a waist-high fence.